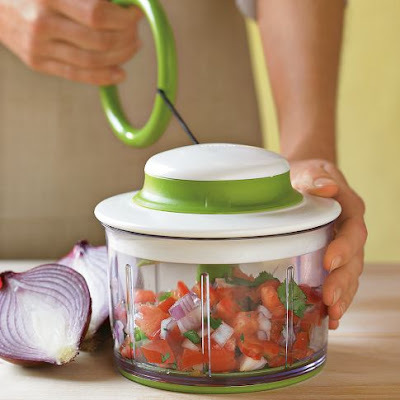 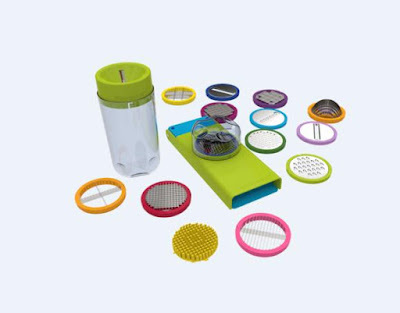 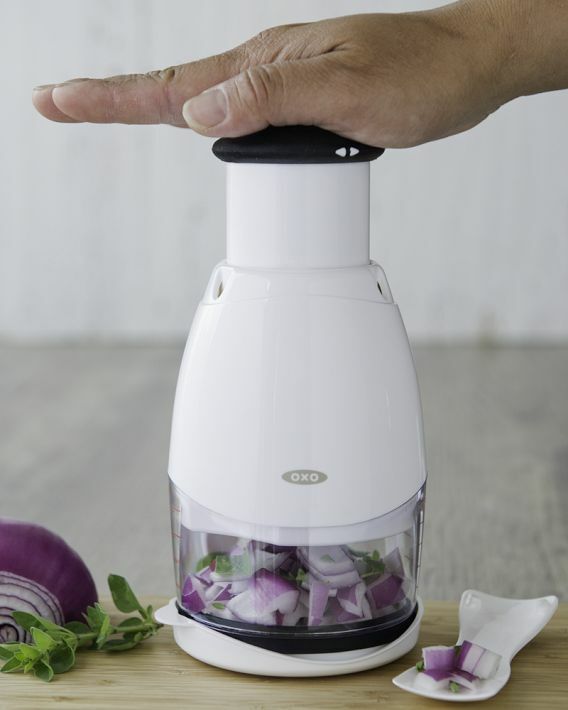 Chef'n Veggi Vegetable Chopper: Simply pull the ring holder to activate this handpowered food processor. 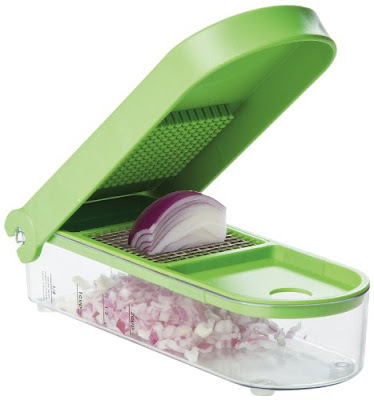 It preps everything from onions and garlic to baby food, fruits and nuts. 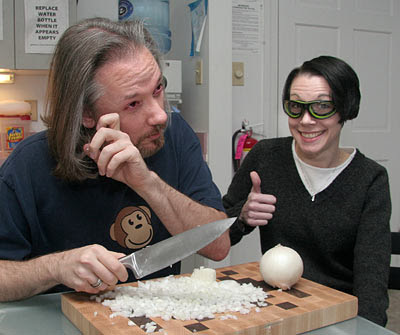 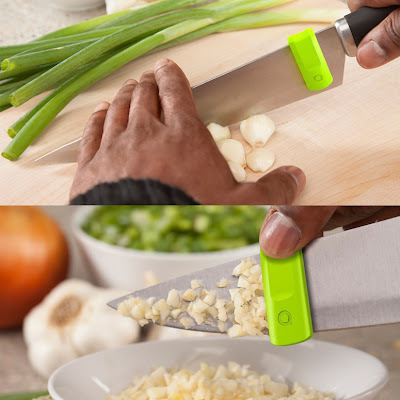 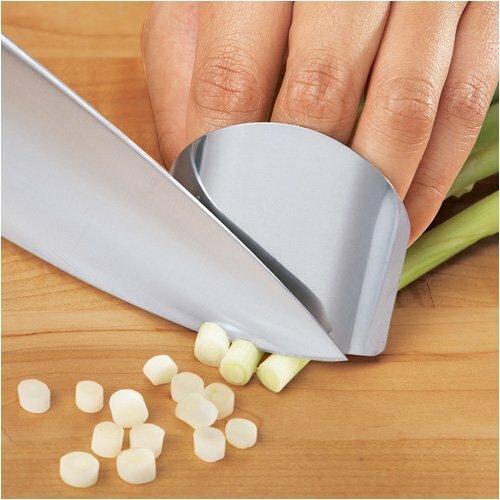 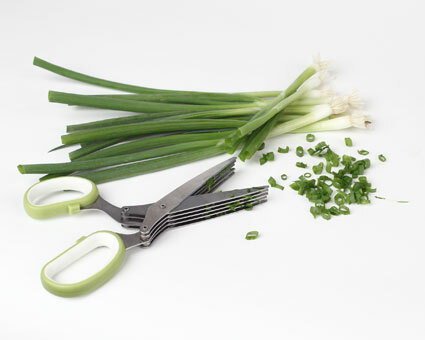 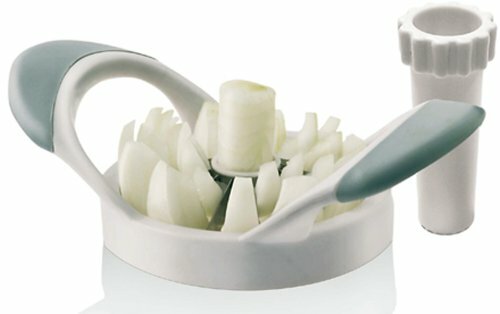 Onion Peeler: This Chef'n Peel'n Onion Peeler lets you peel onions with ease while keeping hands and fingernails odorfree. 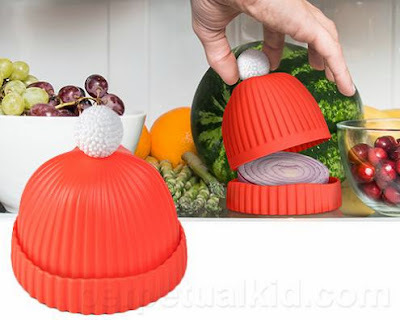 Fridge Leftover Saver: Styled like a little knitted wintercap, it keeps leftover onions, lemons, doughnuts, or whatever you can't finish inside it while keeping the flavor intact. 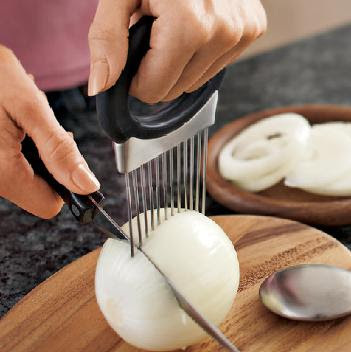 Progressive onion chopper: The Progressive onion chopper dices onions in one swift move.